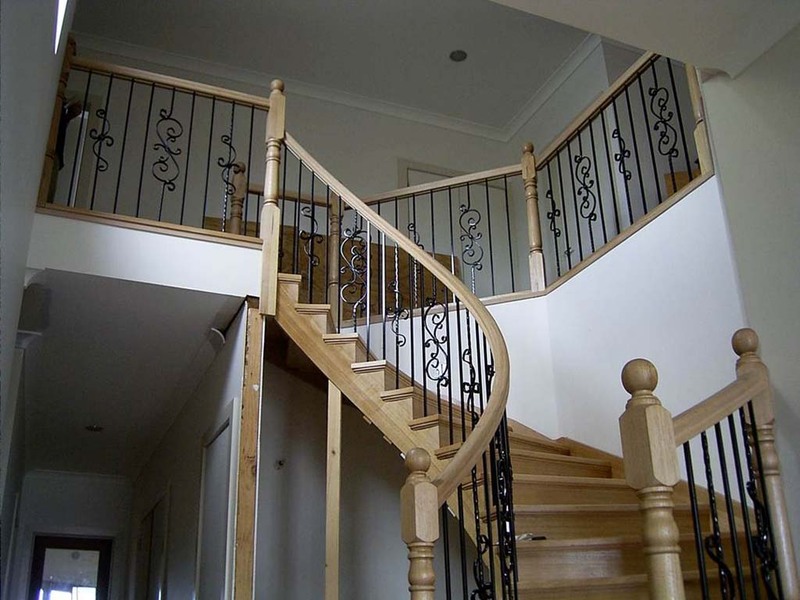 Closed cut stringer staircase in Vic Ash. 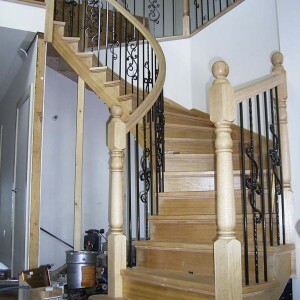 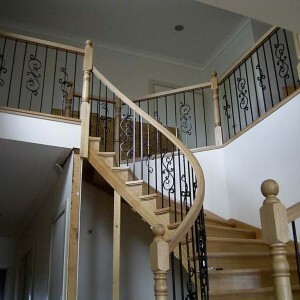 Balustrade consists of turned posts, traditional style handrail and wrought iron balusters. 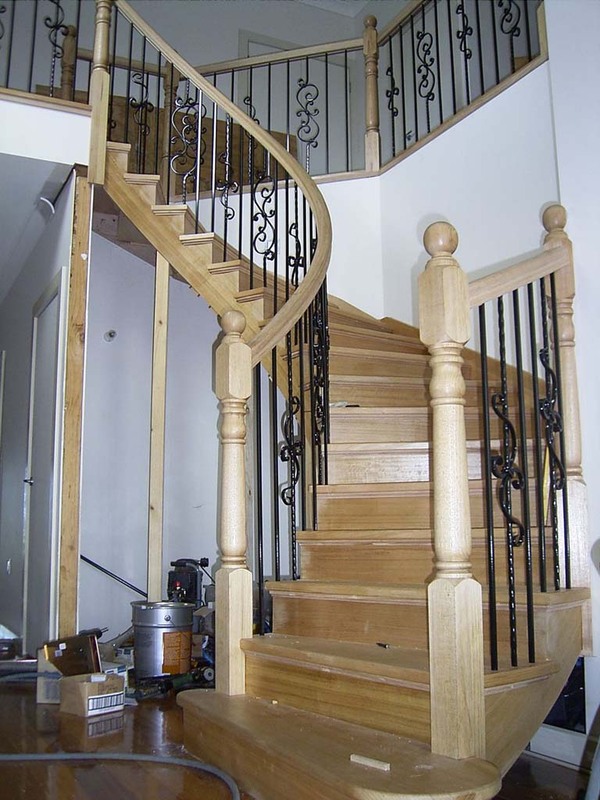 Includes mitred moulding under treads.